In an exclusive talk with Manish Sharma, MD, Panasonic India and South Asia, Wellness India discovered various strategies adopted by one the most sought-after brands in the Air Purifiers segment to build a strong market presence. As per the recent findings of TechSci Research, India’s air purifiers market will grow at the CAGR of about 45 per cent during 2013-18, out of which Panasonic is aiming to grab the lion’s share. 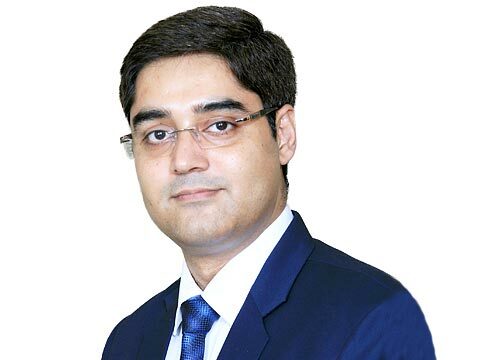 In an exclusive conversation with Wellness India, Manish Sharma, Managing Director of Panasonic India and South Asia unveiled that the company holds 12 per cent market share and has high targets to double it. Find out the strategy and other tactics being adopted by the company to tap the potent market of Air Purifiers in India. The Air Purifiers market in the country is evolving and organized. The growing awareness among people about the surging pollution levels and the risk it causes to their health, has encouraged them to invest in air purifiers. This has increased the demand for air purifiers in India, though at a slow rate. The market has grown remarkably, from FY’2010 to FY’2014, at a CAGR of 33.4 per cent. Currently, the size of organised market for air purifiers above the price range of Rs10,000 is 12500 units. Panasonic has a market share of 12 per cent. Recently, the severity of air pollution has made headlines in the media and I believe that this has helped create awareness around the availability of products that can help fight the problem. Also, the upcoming new technologies are a major growth driver in the air purifiers market. Research and innovation of technology has a great effect on the demand of air purifiers in the market. Cost effective technologies are making it possible for the larger part of the society to afford the product. Strengthening of the weak distribution channels, creating awareness, intensive marketing and increasing penetration into the tier I&II markets, which are some of the few major challenges, will affect the positive growth of this industry in the future. The Panasonic Air Purifiers are unique in nature because of its NANOE technology which works in sync with the composite filter to reduce 99.94 per cent PM2.5 particles within 60 minutes. Apart from this, the Panasonic Air Purifiers also have front suction which is a more efficient way of functioning. While buying an air purifier, the consumer behaviour pattern varies depending on personal to situational. Wide range of customers who are buy air purifiers include doctors, people suffering from asthma or dust allergies, pregnant women, consumers who have infants at home etc. Yes, we have supplied to hotels such as Hotel Dia Park in Gurgaon. We depend on our innovative and technologically advanced products to cater to the ever evolving customer needs in this segment. We are intensively investing in order to enhance our brand presence in the country through our air purifiers. Panasonic has been manufacturing its line-up of high technology air purifiers in Panasonic's China facility for many years now. We are using our existing channels to grow this category along with aggressive marketing in order to create awareness and demand for air purifiers in the country. We are continuously investing in creating awareness around the surging levels of air pollution, and thus the need of air purifiers for better living. For Panasonic consumer satisfaction is of utmost importance, we try and absorb as much cost as possible so that the consumers don’t feel the pinch. We offer products at competitive prices and try to keep our price-quality ratio unmatched. Panasonic’s line-up is the biggest with 5 SKUs and our pricing is most competitive in the market starting from Rs10,995. Replacement cost of filters is different for various models, but is affordable at the same time. Purna Organic eyeing small cities for growth..